The first inaugural Hair Metal Festival, that will be taking place from August 25 to 27, 2017 at O’Rileys (August 25th) and Hull City Hull (August 26th and 27th) in Hull, UK, has added new acts to its already stellar roster that included Spread Eagle, D-A-D, Leatherwolf, Smashed Gladys, Diemonds, Treat and Princess Pang. 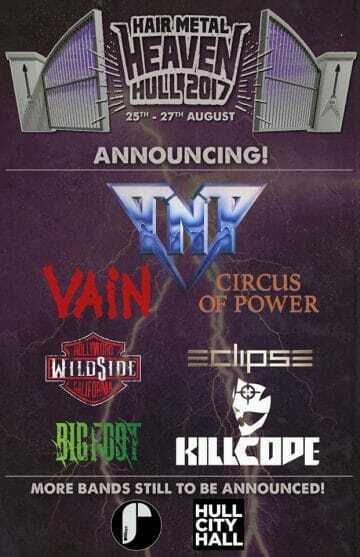 The following bands have now been announced to Hair Metal Heaven‘s line-up: TNT, Vain, Circus Of Power, WildSide, Eclipse, Big Foot and Killcode. Arguably the biggest name for Hair Metal Heaven‘s second set of bands announcement is Norway’s very own recently reformed TNT. One of the few bands who have soldiered through the thick and thin, Vain continues with frontman Davy Vain carrying the torch to keep the name alive. 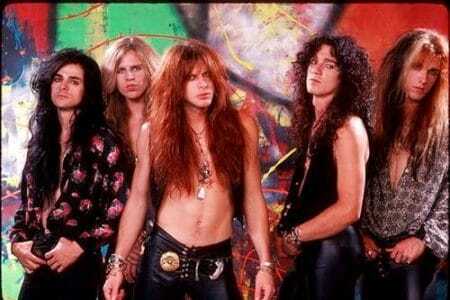 “Vain is an American heavy metal band from San Francisco Bay Area, California, formed in 1986. As of 2011, the line-up consists of Davy Vain (lead vocals), Jamie Scott (guitar), Danny West (guitar), Ashley Mitchell (bass) and Louie Senor (drums). After recording a demo, Davy Vain founded Vain in 1986, adding Scott, West, Mitchell and drummer Tom Rickard to the line-up. They signed with Island Records in 1988, before releasing their debut album the following year, titled No Respect, which peaked at number 154 on the Billboard 200. Though they recorded a second album, Vain were released by Island in 1991, with West and Rickard departing the same year. Following the addition of both Shawn Rorie and former Guns N’ Roses drummer Steven Adler, Vain renamed themselves Road Crew. However, they also disbanded in 1991. The band reformed in 1993 and went through a number of line-up changes for the release of their next two studio albums. By 2005, Scott and West had returned to the band, while Rickard would rejoin them in 2009 (before departing again the following year). Vain are scheduled to release a new studio album called Rolling With The Punches in February 2017. New York City’s Circus Of Power are a slightly more straight up, ballsier rock n’ roll band, who rose to notoriety with their 1988 debut. “The band formed in 1986 in New York City. A no-frills band heavy on tattoos, biker-band lyrics and leather, the band consisted of vocalist Alex Mitchell, guitar players Ricky Mahler and Gary Sunshine, bassist Craymore Stevens, and drummer Joey Wrecked. In July 1987, Joey Wrecked quit the band and was replaced by Ryan Maher. The group played in New York for several years until they were signed by RCA Records. Around 1990, Gary Sunshine switched to guitar, and Zowie joined as bassist. In 1990, Circus of Power got a huge break, being named as the lone opening band (for the complete tour) opening for Black Sabbath on their Tyr album. WildSide are a band that was destined for the big time at the time of their debut dropping, is a fan favourite, and requested by many on the festival’s Facebook page. 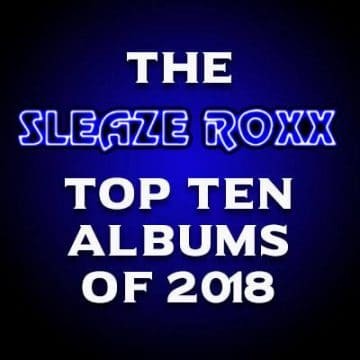 With 1992’s debut album Under The Influence being in many diehard glam fans’ top 10 albums, it’s surely a dream come true for many to see them play at Hair Metal Heaven. “Wildside was an American glam metal band formed in 1988 by founders Brent Woods, Drew Hannah, Benny Rhynedance. 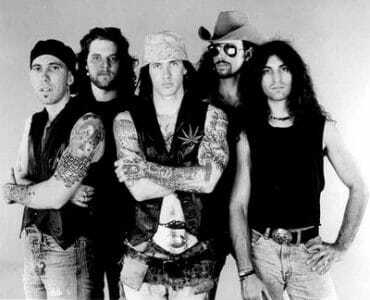 Originally called “Young Gunns“, the 5 piece lineup included Drew Hannah (vocals), Brent Woods (lead guitar), Benny Rhynedance (rhythm guitar), Marc Simon (bass guitar), Jimmy Darby. (drums). Wildside – Hang On Lucy OFFICIAL video clip with the best audio in Youtube and lyrics !! Hair Metal Heaven also sees the inclusion of “newer” bands including the sensational melodic rockers Eclipse who nevertheless date back all the way to 1999. “The band was formed in 1999 in Stockholm by singer/guitarist/bassist Erik Mårtensson and drummer/keyboardist Anders Berlin. Together with guitarist Magnus Henriksson, they received a record deal with English label Z Records. The band’s debut album, The Truth and A Little More was released in 2001. 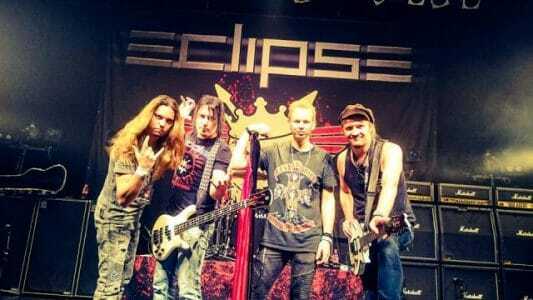 Eclipse later received a contract with the Italian label Frontiers Records and in April 2004 released the album Second To None. In 2008, they released the album Are You Ready to Rock. Erik Mårtensson then wrote most of the song material for the side project WET which consisted of members from Work of Art (W), Eclipse (E) and Talisman (T). 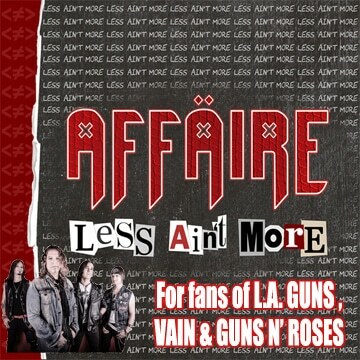 Their self-titled debut was released in 2009 and became famous in the genre of melodic hard rock and the AOR radio format. In 2012, they released the album Bleed & Scream. The title track was released as a single and also became the band’s first official video. The album entered Sverigetopplistan at number-44. Eclipse are poised to release their latest studio album Monumentum on March 24, 2017 and have already released one song entitled “Vertigo” for streaming. Preorder the new album “Armageddonize” here: Amazon: http://geni.us/EclipseAmazononize Release dates: EUROPE February 20th 2015 – NORTH AMERICA February 24th 2015 Swedish Hard Rockers Eclipse are back with their anticipated after the critically acclaimed album “Bleed & Scream” from 2012. Bigfoot are the newest group added to Hair Metal Heaven‘s stellar line-up. “Bigfoot are a 5 piece Hard Rock band based in Wigan, England. Formed in spring of 2014, Bigfoot consists of members from various bands from the local scene combining powerful vocals, dual lead guitars and a heavy driving rhythm section. With influences stemming from many different genres from The Eagles to Pantera, this is a band that can be appreciated and enjoyed by a wide range of music fans. Since forming, Bigfoot have toured constantly around the UK and landed slots at the likes of Breakout Festival 2014, Bloodstock Festival 2015, Hard Rock Hell 2015 and Steelhouse 2016. Bigfoot – Run (Official Music Video) Facebook – www.facebook.com/bigfootukrock Twitter – www.twitter.com/bigfootukrock Merchandise – www.bigfootuk.bigcartel.com Video by Shane Green – www.facebook.com/shanegreenvideo Bigfoot are a 5 piece Hard Rock band based in Wigan, England. Formed in spring of 2014 Bigfoot consists of members from various bands from the local scene combining powerful vocals, dual lead guitars and a heavy driving rhythm section. 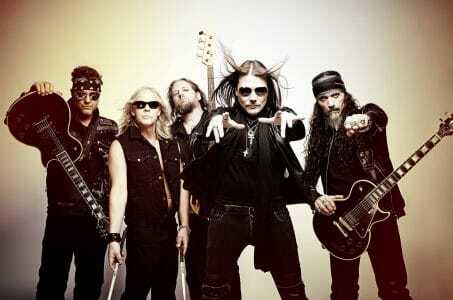 “Killcode is a five piece American based rock band that hails from New York City. 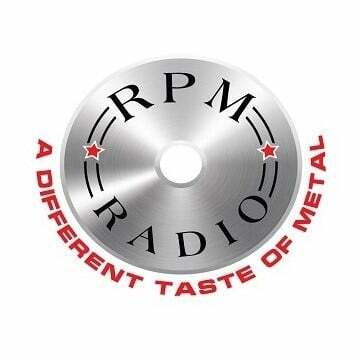 Their unique sound and style has been described as Southern infused Rock/ Metal with modern day vocals. 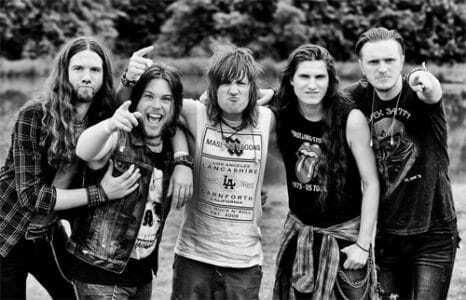 Killcode’s songs are hooky super charged anthems with big guitars and driving rhythms that pumps a shot of adrenaline into your system the moment you hear them. The day has finally arrived! Today, November 6, 2014, we have the EXCLUSIVE premiere of KILLCODE’s stunning music video for “The Wrong Side”! Directed by David Swajeski and produced by Maryanne Grisz, a large portion of the video was filmed during KILLCODE’s legendary concert with Japanese rockers VAMPS at the now defunct ROSELAND BALLROOM. For a debut festival in Hull, UK founder and organiser Ian Wright is truly pulling out all the stops, with each announcement somehow bettering the previous. Finally there’s hope for a UK equivalent of the M3 Rock Festival in America. 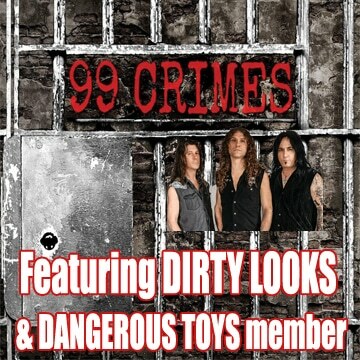 Further details regarding the event can be found on Hair Metal Heaven‘s Facebook page and/or website. Thank you to Ben Chamberlain for his assistance with this article.